Our cattle are raised and finished on forage. This means they graze on pasture for part of the year, and we feed them hay and haylage for the rest of the year. 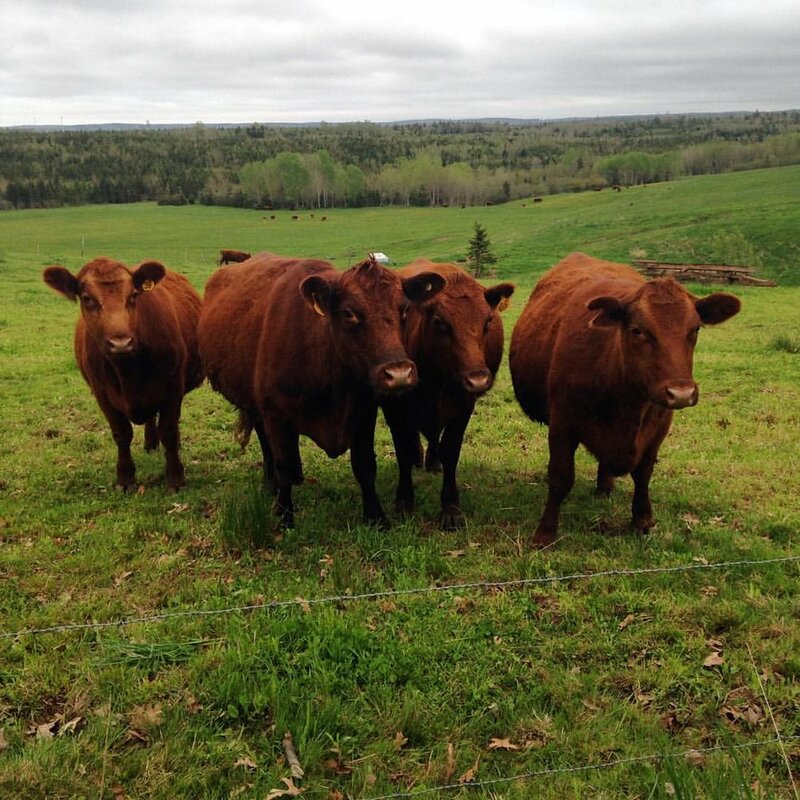 Nova Scotia's climate is well suited to this type of beef production, and we believe in taking full advantage by working with what nature provided. As such we do not feed our cattle any grain. We closely monitor the health of our animals, and regularly work with a veterinarian to make sure our animals receive the best care we can give them. Our beef is tender and flavourful, and we may be biased, but we believe it is some of the best you can buy. We sell both 'freezer beef', and ground beef. All of our beef is processed in an inspected facility, and vacuum sealed. If you are interested, please don't hesitate to contact us. Ground Beef: Our ground beef is very popular, and we do our best to keep some in stock in our freezer, all year. We also maintain a customer list for this, so we can notify when have fresh product available. We package in 2 lb lots, and find our product is either lean or extra lean.